Are you running short on cash this month, unsure of just how you will cover your bills and rent? If this sounds like you, then let Illinois Title Loans, Inc. help you out. We can provide the fast cash Belleville title loans you need for a quick influx of money in an emergency. You can find our store conveniently located at 422 North Illinois Street in Belleville, Illinois, where we are situated directly across the street from D&D Motors Ltd. next to Home Brite Ace Hardware. Before you head out to our store, though, be sure to complete our simple online request form, which you can find right here on our website. Filling out this form will help to put you in contact with a friendly store representative, who can give you a call back soon after receiving your basic information. With amounts up to $4,000 regardless of your credit history, there’s no better time than now to let Illinois Title Loans, Inc. help you get the cash you need today. 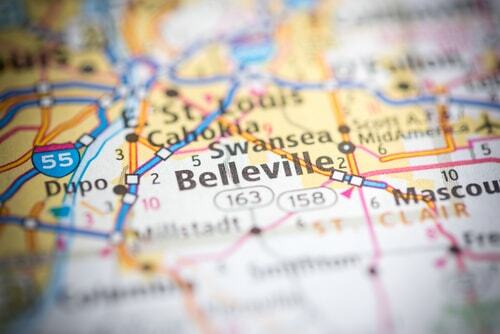 We proudly serve residents of the greater Saint Louis metropolitan area, from Belleville to Collinsville, and East Saint Louis to O’Fallon. Regardless of what your credit history looks like, you could get up to $4,000. The fast cash you've been looking for is waiting at Illinois Title Loans, Inc.! Why Choose Us for Your Belleville Title Loan?